I was diagnosed with breast cancer in 2007, and I'm lucky. I'm lucky because it was caught early and I survived. Even though it's been 12 years, each year I hold by breath until I receive the all clear from my mammogram. There are so many who are not as lucky as I am, and for them I will ride. I include the memory of my mom and my grandmother in my ride too. They had breast cancer as well. Grandma got diagnosed back in the 60's when the only treatment was a radical mastectomy. She endured her struggle with humor and dignity. She instilled that in me. This battle continues and it is attacking even younger women. I worry about my own daughter now. I will fight this war against cancer by raising money. I'm not a research scientist or a doctor so this is what I can do. 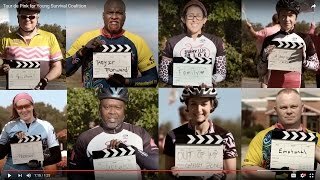 I can ride my bike and raise awareness while providing funding for treatment and research. 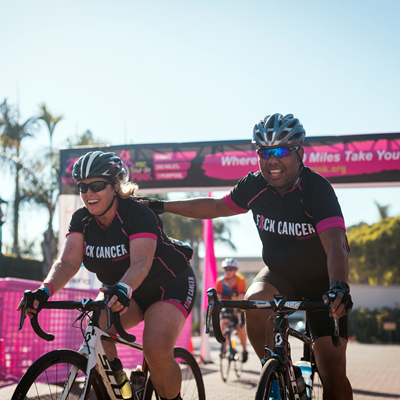 The YSC Tour de Pink is a 3-day, 200 mile bike ride for breast cancer. The ride directly supports Young Survival Coalition (YSC) and provides care for young women facing their own battle with breast cancer. Your donation will directly support Young Survival Coalition and ensure that no young woman faces breast cancer alone. YSC offers resources, connections and outreach so women feel supported, empowered and hopeful. YSC is the only national nonprofit that solely focuses on serving young women under the age of 40 affected by breast cancer. YSC serves over 8,000 women each year with support and education to be their best health advocate throughout all stages of breast cancer diagnosis, treatment, and long-term survivorship. Still riding after all these years! Keep it going Tami. Love you. Have a great ride, Tammy!